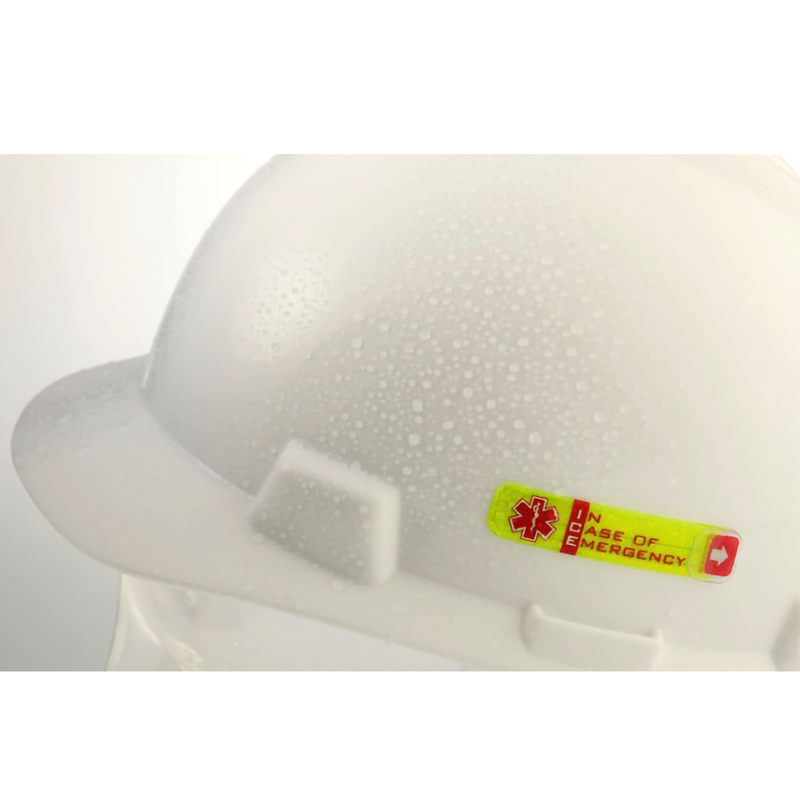 Hard hat medical information stickers securely stores worker's medical info and emergency contacts for use by first responders and paramedics in the event of an accident or medical emergency. 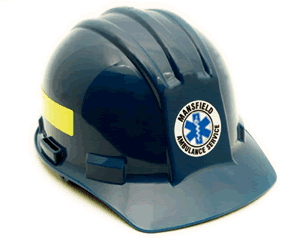 • Affixes safely to the exterior of worker's hard hat or clothing. • Secure tamper-proof seal (ensures data privacy). 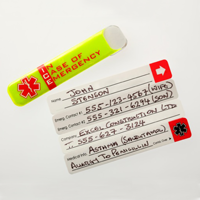 • High gloss 3M Scotchlite reflective surface ensures the Medical ID stickers can be easily distinguished. 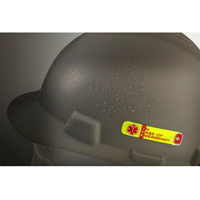 • Helmet safe adhesive is water based and won't damage polycarbonate helmets. • Non-electrically conductive holder is water and weather resistant. 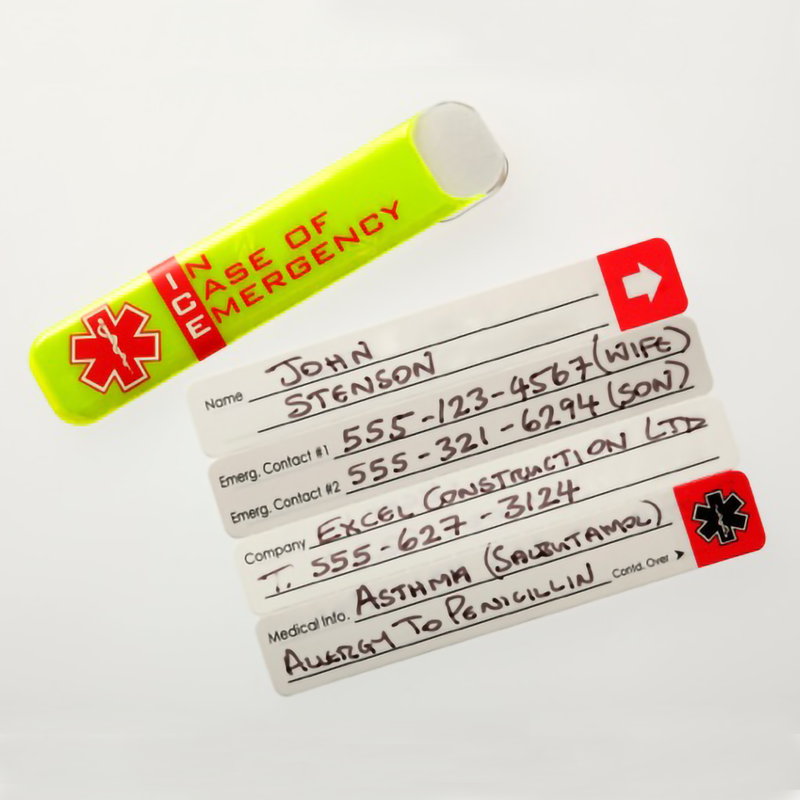 • Vital ID stickers are 100% waterproof. 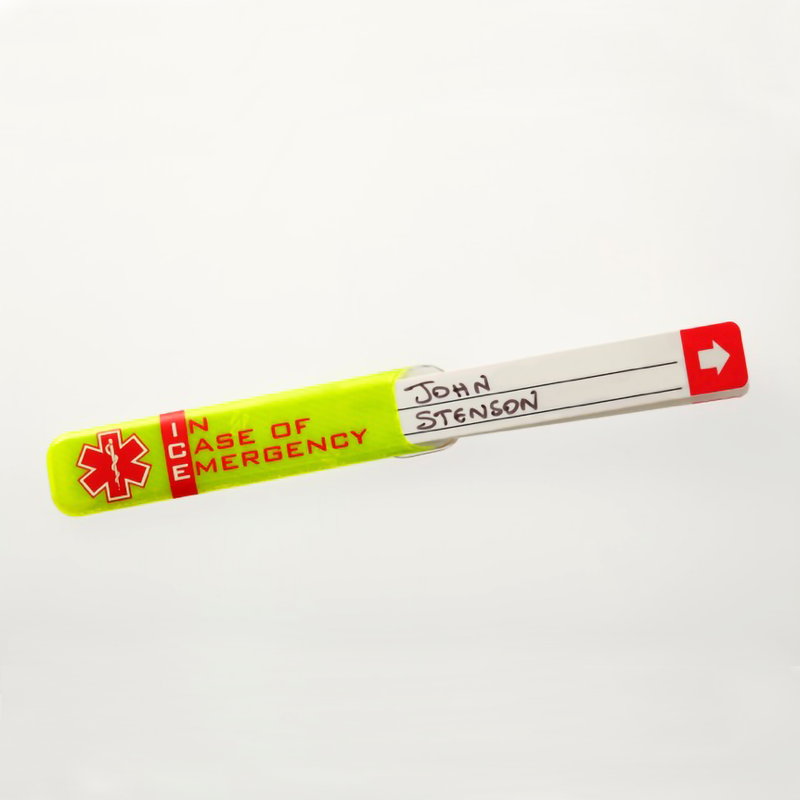 • Non-conductive vinyl holder measures 30 mil thick with a 10 mil pocket. 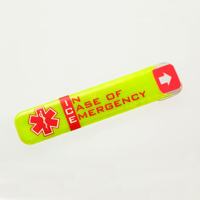 • High-gloss Fluorescent Lime-Yellow sleeve is covered in 3M Scotchlite reflective sheeting that is certified to meet various global high visibility standards such as ANSI/ISEA 107 and CSA Z96 level 2 retroreflective performance. • Helmet safe water based acrylic adhesive has a high initial adhesion with excellent peel strength that won't weaken or damage polycarbonate helmets, and outstanding high temperature holding power. • Tamper-proof seal ensures that your private information is safely stored away and secure. 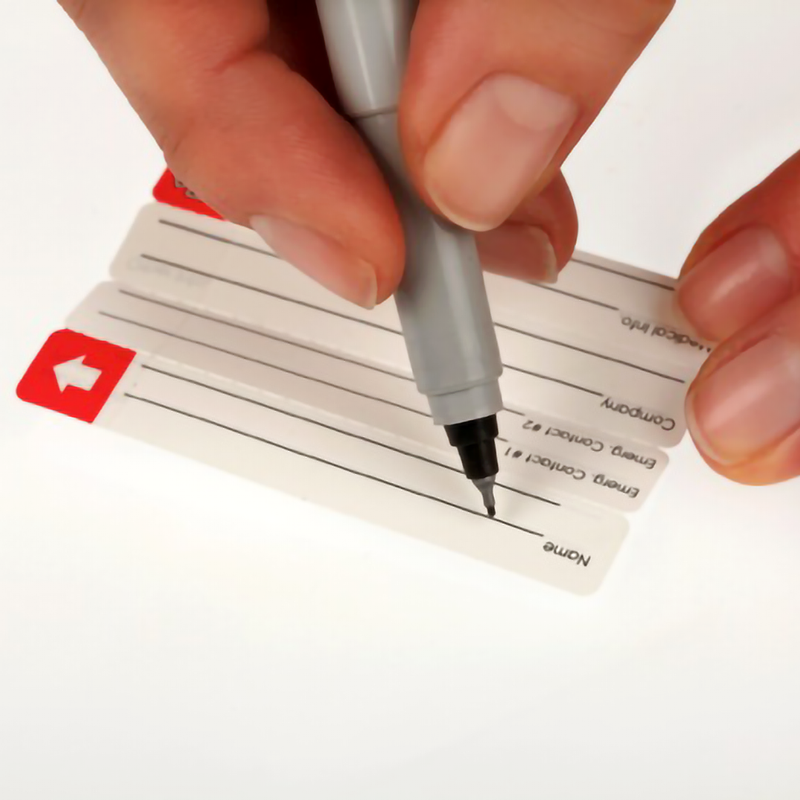 • Durable ID cards are made of 100% waterproof synthetic paper and fully retains all information when used with a permanent marker or pen. 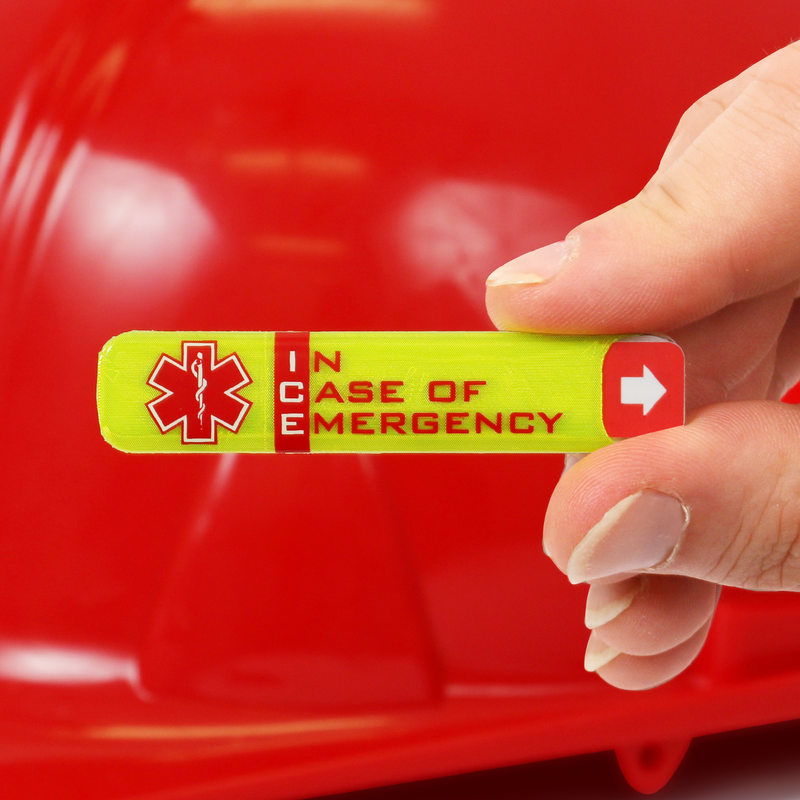 Great way of providing quick information to those responding to an incident on site. Handed them out to my coworkers as well. I purchased 10 of these to hand out to team for feedback. They love them. With all the privacy laws in affect this product keeps them sealed and information private until needed.